Phuket is an ideal diving destination in Thailand. If you make Phuket your base, you can access great local Thailand dive sites – half day trips, full day trips, and liveaboards. The Andaman sea has more coral reefs and similar visibility to the Gulf of Thailand. Most of the reefs are on the east side of islands / rocks, because of the southwest monsoon. The north end of Thailand’s coastline has granite outcrops – the Similan and Surin islands. Many divers put them on the top 10 worldwide destination list. And because they are so close to Phuket, they are a prime diving destination in Thailand. The other reasons are the availability of infrastructure – there is a lot more to do on Phuket, and there are wonderful facilities available, be it diving medicine, multiple diving operators to choose from, continuing diving education or just simply having fun! The weather and diving conditions in the Andaman sea and the Gulf of Thailand are affected by two monsoons, the northeast and southwest. The northeast monsoon rules across the Gulf of Thailand from October to December, with heavy rain and winds. 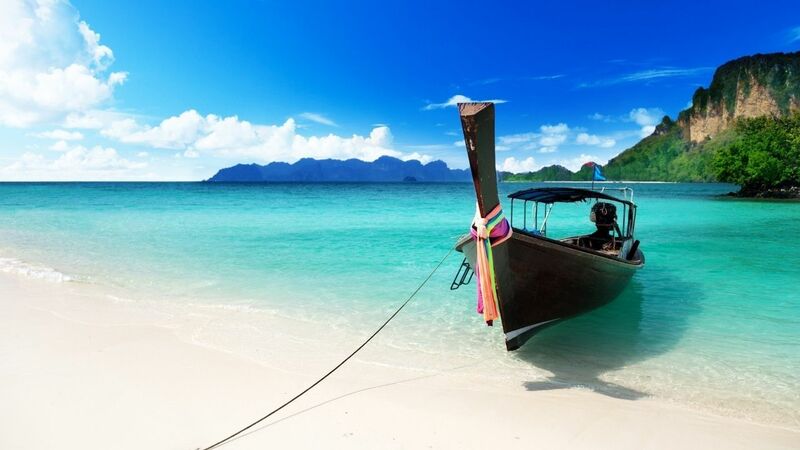 The Andaman sea is sheltered from the northeast monsoon, and diving and snorkelling are very popular November – April. Visibility is 5-30 meters. May to October the southwest monsoon often makes visibility poor and diving less pleasurable. This is when divers head to the Gulf of Thailand. But the beauty of Phuket is that there are dive sites accessible from both sides, and you can usually make some great diving or head to a location you prefer for diving with convenient transport. Water temperature in Thailand is 27 C to 31 C. A 3mm wetsuit is a must, not just for thermal protection, as your body looses height 20 times faster in water than on land, but also for protection from marine hazards, such as rarely encountered jellyfish. You can easily rent or buy a diving wetsuit in your size in Phuket. To summarize, it is always a great time to try diving, learn to dive or improve your diving in Thailand. But you should do your research and go with an operator you trust.